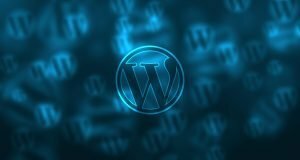 What is WordPress you ask? WordPress is the most popular open source Content Management System (CMS) available today. Over 75 million websites are using it. This CMS is unique because it has thousands of plugins and WordPress templates that create a flexible and straightforward interface. Traits like these help reduce deployment time and development costs. There are plenty more reasons why we use WordPress here at Quadshot. Here at Quadshot, we have many years of experience accumulating knowledge and resources. This makes it easy for us to deploy high-quality websites. Here are a few reasons why we use WordPress for each of our clients. If there were a CMS contest, WordPress would win every year. It holds the largest CMS market share and currently accounts for about 25% of all websites today. As a result, plenty of users have familiarized themselves with WordPress CMS software, requiring less training of staff when creating new sites. Because WordPress is self-hosted, there are no costs associated with downloading, installing or upgrading. There are over 50,000 WP plugins available for users to pick and choose from. A few examples would be slideshows, SEO optimization, contact forms, Smart Links, and more. WordPress is widely used because it meets and exceeds the demands of its users. The flexibility of its framework grants designers and developers the opportunity to create and modify applications and layouts. Paired with user-generated extensions, websites aren’t limited to enterprise extensions. Quadshot has experience with extending WP functionality, as well as including a wide range of plugins, to exceed our client’s needs and demands. Often, web development is not easy. WordPress was developed for those who are not that tech-savvy. With that being said, most of the user-interface components are simple and easy to use. The written, recorded manuals make it easy to learn the WP functions. Quadshot will handle all the complexities of customizing and setting up your website. All you need to do is update the content on your pages, widgets, and posts. This is one of the main reasons why we use WordPress. WordPress might be precisely what your website needs to improve your customer experience. For assistance on creating your WordPress website, Contact us at Quadshot today!